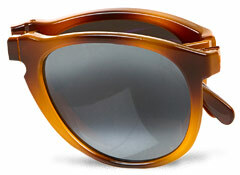 The Persol 714 is an homage to Steve McQueen and is based on a pair of sunglasses the actor wore frequently. 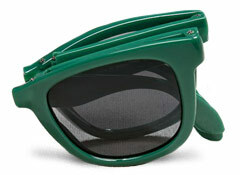 Foldable sunglasses are like having a dose of cool in your pocket. The portable frames are convenient, stylish and most importantly, durable. Usually made with scratch-resistant lenses and durable acetate frames, sturdier models like the Persol 714 are built to last. But we're also seeing glasses with a bit more pop than your usual black or tortoiseshell offerings (see: Burberry's "Brights" collection). We rounded up the season's best timeless and trendy frames, no matter your budget. 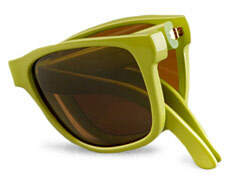 Polycarbonate frames in six colors. Available in eight colors with a soft bag and case. 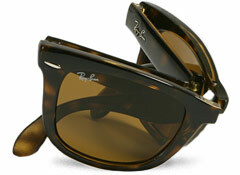 Squared-off frames with gradient lenses and a zippered case. 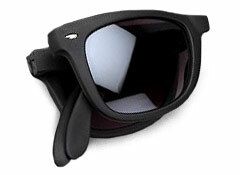 Rubberized plastic with gradient tint lenses. Made in Italy from lightweight acetate with a small case. 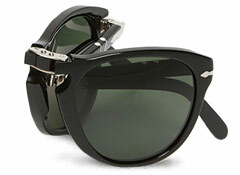 Made in Italy, with crystal lenses—the most structurally sound of the group.